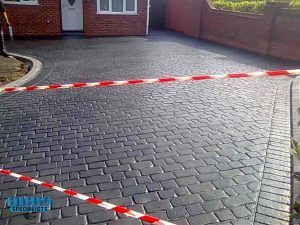 If you are looking for an imprint concrete contractor who will take design and install a beautiful driveway or patio, you have come to the right place. We are in business now for over 20 years covering the north and south side of Dublin. 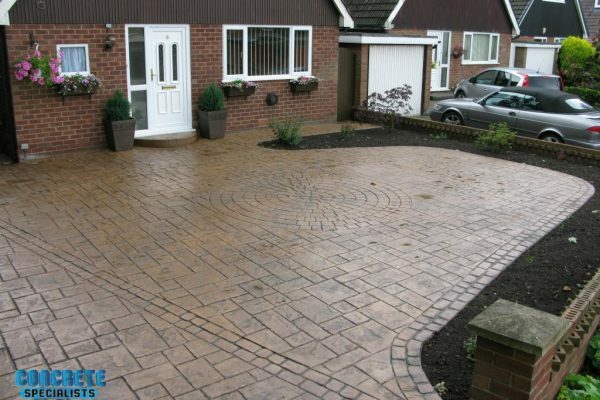 We can install imprint concrete on driveways and patios, using a variety of patterns, colours and finishes. 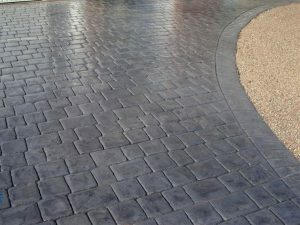 Each imprint driveway and patio is uniquely tailored for each of Dublin customers. All our imprint concrete work is guaranteed. Call our office now on 01 908 1048 to speak to us directly. 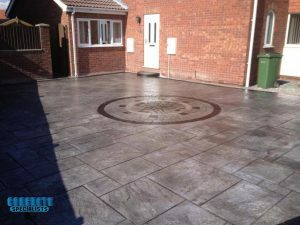 We don’t just do imprint concrete, we provide a wider range of services including standard concrete driveways, patios and pathways. 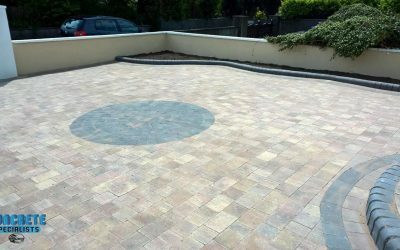 Our team is skilled at installing paving from Kilsaran, Tobermore and Roadstone. 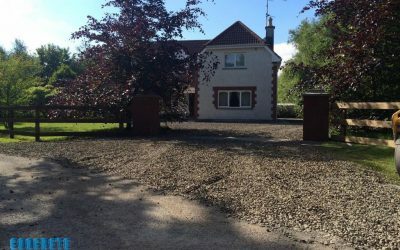 We are equipped to supply and lay gravel driveways as well. 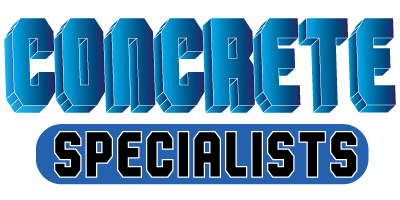 When you get the Concrete Specialists, you are getting a team that has over 20 years experience installing a wide variety of surfaces. We strive for 100% customer satisfaction and that is why we are so well endorsed by both customers and manufacturers in Dublin. 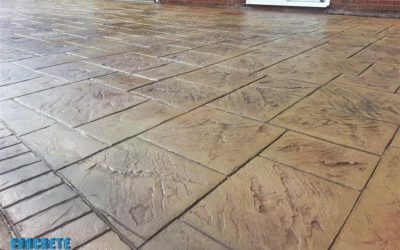 Pattern Imprinted Concrete is a special method of imprinting the surface of poured concrete that gives the look of stone, cobbles, brick, slate or even timber decking. Concrete is a long term building material that has very little impact on the environment compared to other building materials. We add colour, texture and creativity to tailor it for you personally. Your concrete is mixed by us on site, using our very own special formula that delivers a long lasting and safe surface, this also adds to the flexibility of our service allowing us to add certain compounds into the product on site as it is being dispensed, dependent on the use of the concrete (for driveways, patios or base floors, such as foundations and large floor areas) and the relevant weather conditions. 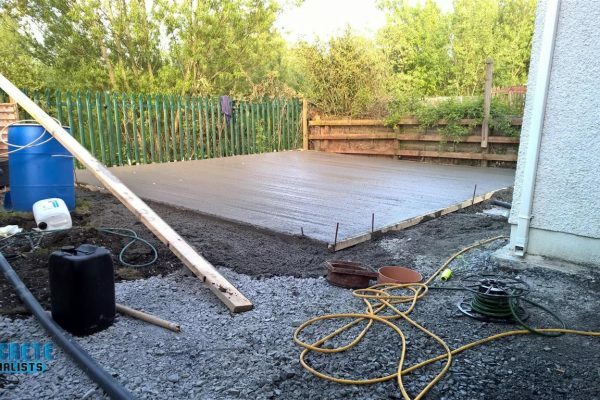 The Concrete Specialists hves been laying driveways for over 20 years in Dublin; we have a lot of knowledge and experience to call upon. 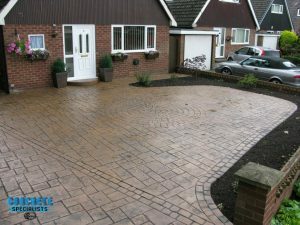 Whether you’re looking for a free quotation or are looking for some inspiration for your own driveway or patio, we understand communication is key for job satisfaction.